Ah – my senses are alive with the signs of spring everywhere in Minnesota right now: the sounds of windshields being scraped, the exhaust fumes of powered snow removal equipment, and the beautiful glare of the sun as it reflects off frozen lakes! Ugh. I don’t know about you, but I’m tired of winter and wondering if spring will EVER get here. Somebody needs to tell the weatherman to check the calendar! I was talking to a coworker today who said his local home improvement store ran out of sidewalk salt. One really can’t blame them – they undoubtedly planned to be selling barbeque grills and fertilizer by now, not handwarmer packets and de-icer. It did draw my mind to a warmer Mediterranean climate though. On a hill in Galilee with nary a snowflake in sight, Jesus said we are to be salt and light to our world (Matthew 5:13-16). Hardware stores across our area are running physically low on salt right now. I wonder if the world around us is running low on spiritual salt right now too – the preserving, seasoning, and nutritious salt that only comes through hope in Christ. If you’re like me, you may be feeling a bit salty at how your springtime plans are being disrupted. Maybe you could bring some saltiness to someone whose soul is going through a longer-than-expected winter right now. Who do you know that could use a kind word, a helping hand, an open ear, or a prayer? Who do you know who feels like they are out in the cold or sliding out of control? Who do you know that needs some hope? 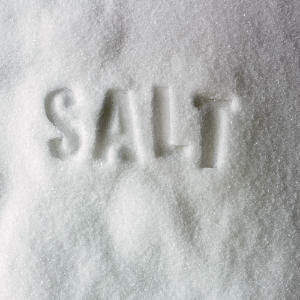 Mark 9:50b says “Have salt in yourselves, and be at peace with one another.” It’s awfully slippery out there. Pass the salt to someone who needs it.